Joy Lane Steve Stephens girlfriend speaks out about her relationship with a wanted Cleveland man after killing a random stranger in her name live on Facebook. 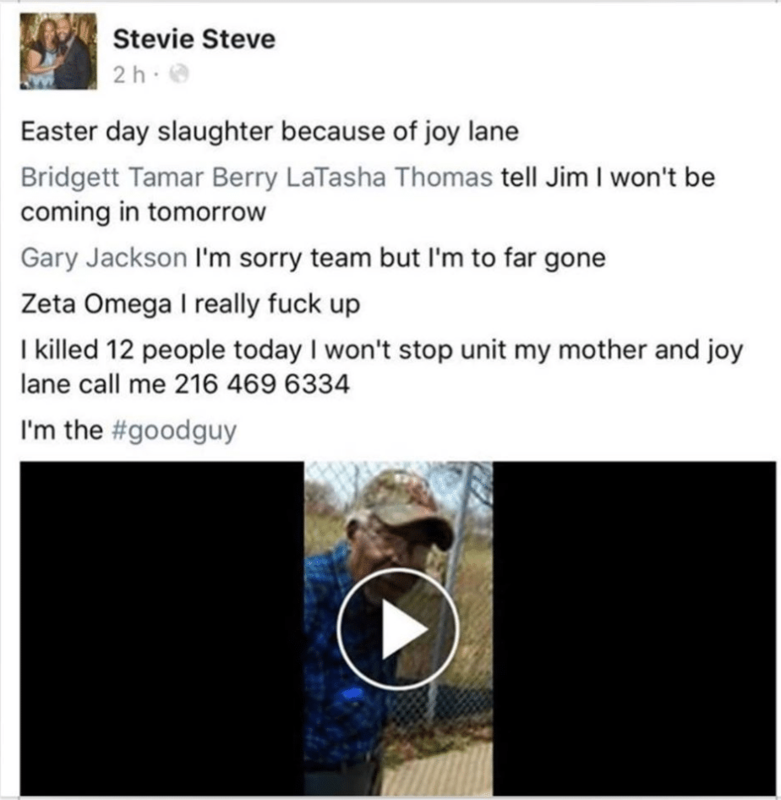 Joy Lane the estranged girlfriend of Easter Day slaughter suspect, Steve Stephens aka Stevie Steve has described her killer boyfriend as kind and loving and a nice guy. The statement comes after the woman also known as Joy Carr was placed in a safe location by police a day after Stephens, 37, gunned down a random stranger, while live telecasting the man’s murder on Facebook Live. Lane’s comments come as her former boyfriend is now the the target of a national manhunt after posting a Facebook live killing of 74 year old man, Robert Godwin Sr who he had by chance encountered after uttering he was looking for someone to kill. 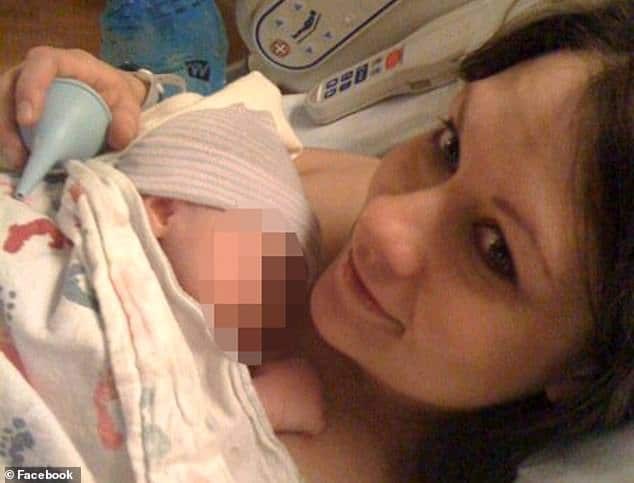 In the video, Stephens can be heard mentioning to his impending target, ‘Joy Lane, Joy Lane, she is the reason that this is about to happen to you’ before fatally shooting the man. Of note, Lane in a phone interview with time said she did not know why Stephens would have killed in her name. ‘I’m not sure,’ she said. The details of the couple’s relationship are unclear. Lane declined to comment further. 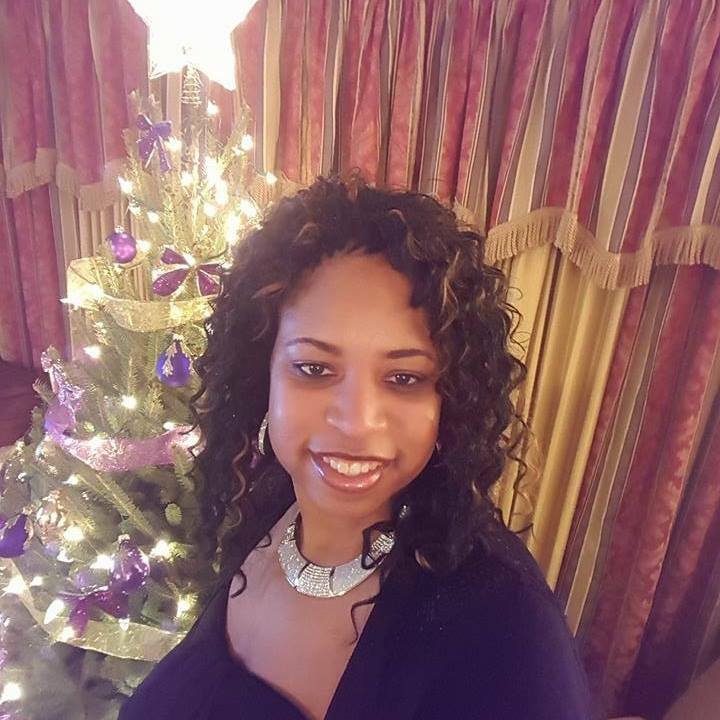 Nevertheless an expose via crowd source site, everipedia provides clues, with the woman also working in mental health services like Stephens (case manager at Beech Brook) before Sunday’s breakdown. Adding, ‘Joy is also an adjunct faculty member of the at Cleveland State University, teaching at the university’s School of social work. 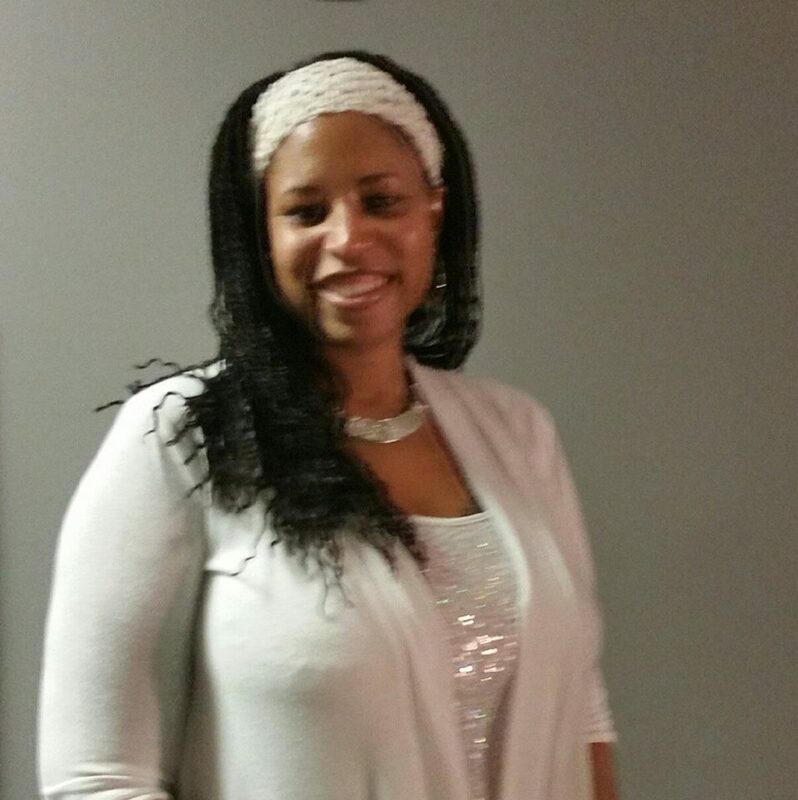 In her role, she oversees field placements for students at community based organizations’. Of note, the woman also worked served in the United States Air Force, with Stephens also known to have served in the US Air Force. 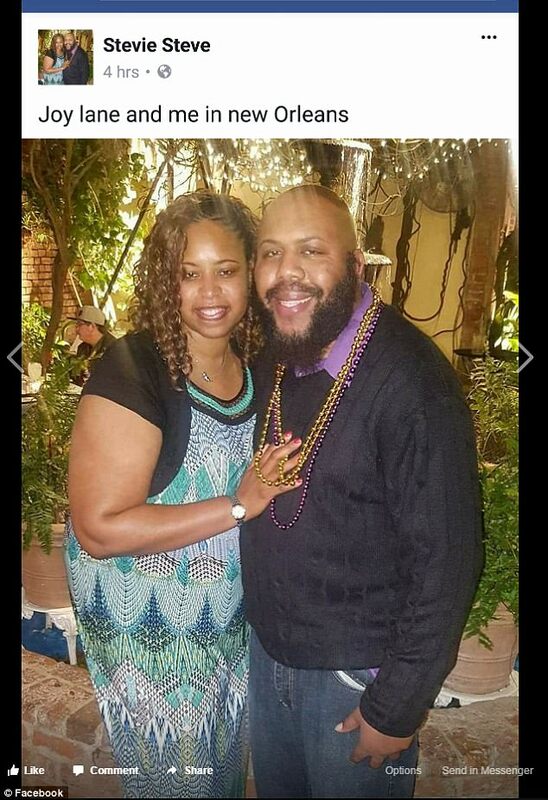 Joy Lane was mentioned as a reason behind Steve Stephens shooting of random man, Robert Godwin Sr.
Pictured Joy Lane also known as Joy Carr, the ex girlfriend of Steve Stephens. Image via Facebook. Watch: Steve ‘Stevie Steve’ Stephens kills victim on Facebook Live, claims shot 12 more. 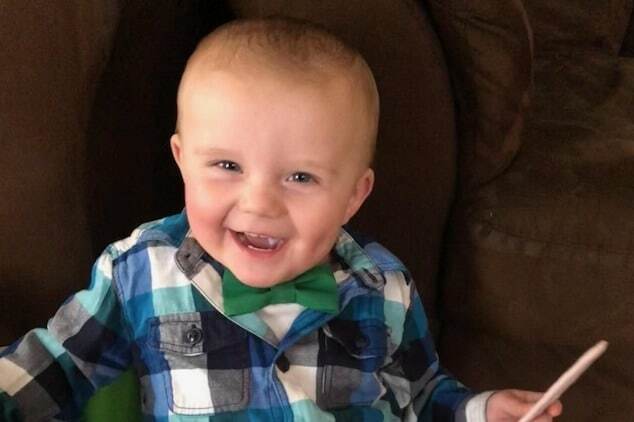 Since been placed in protective custody, Cleveland Police Chief Calvin Williams said that Lane was cooperating with authorities. During a Monday morning press conference, police said Stephens had gone on a shooting spree just hours after breaking up with Lane. 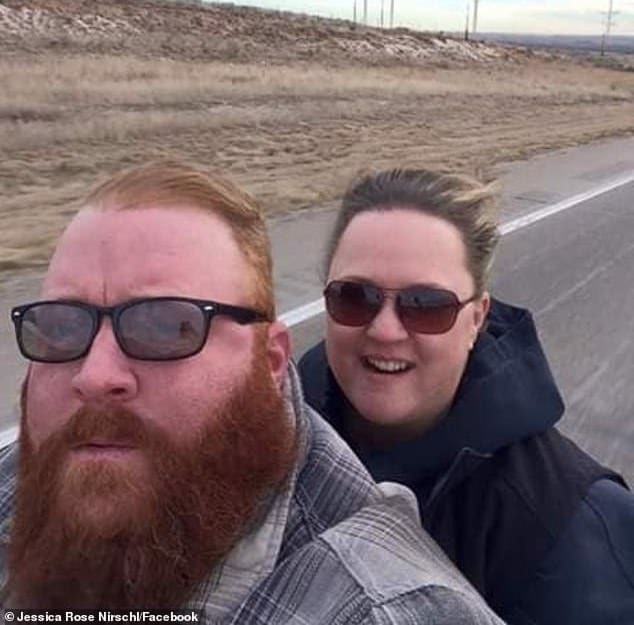 What led to their break up wasn’t revealed, nevertheless Stephens went on to mention resenting ever having met Lane and having ‘lost control’ because of a gambling addiction with records indicating the man recently declaring bankruptcy. At one point during further Facebook Live telecasts, Stephens went on to say he had killed a further 12-14 individuals that day, whose bodies he had placed in storage. Police have yet to verify any other killings to date. Addressing the victim’s family, Lane said she was ‘overwhelmed’ by the tragedy and offered her sympathies to those left grieving. 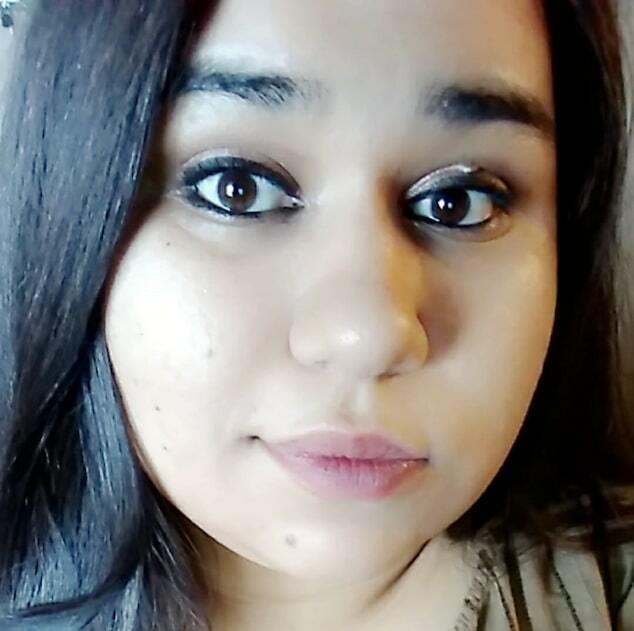 Local and federal authorities are searching for Stephens in Ohio and several other states, including Pennsylvania, New York, Indiana and Michigan. Cleveland Police Chief Calvin Williams said they wouldn’t rest until he is captured. 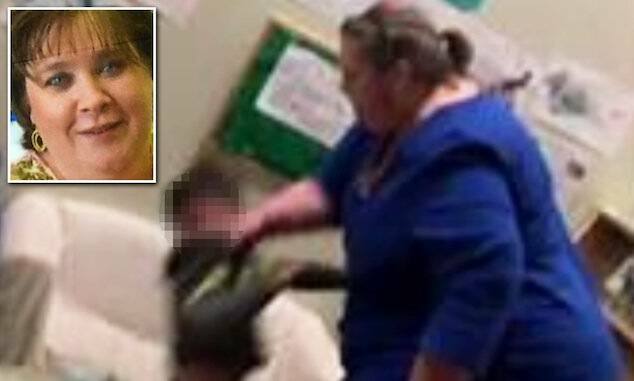 ‘We’re not going to stop until he’s in custody,’ the police chief said. 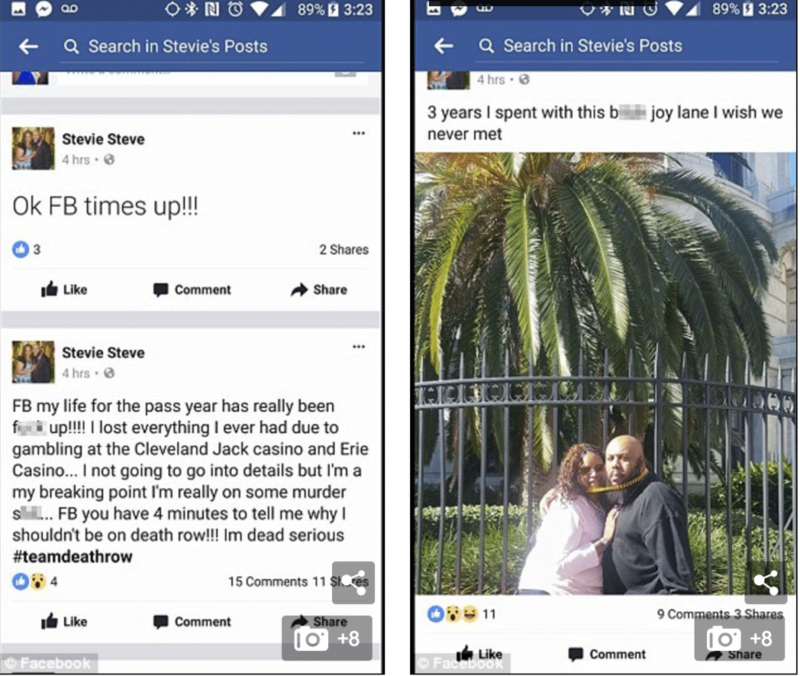 Steve Stephens aka Stevie Steve Facebook page before being taken down on Sunday. Right side, pictured with Joy Lane. 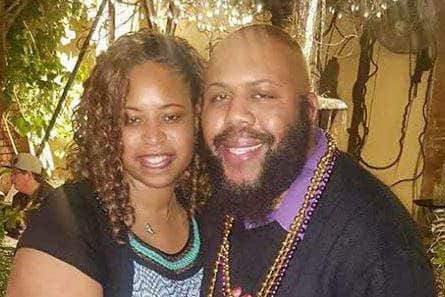 Joy Lane pictured with her ex boyfriend, Steve Stephens. Pictured, Joy Lane aka Joy Carr.